3:55 - What makes a good guide dog? 14:45 - Can dog's understand symbols? Christine (Chris) Benninger joined Guide Dogs for the Blind in April of 2014, bringing a wealth of non-profit and for-profit experience to her role as CEO and President. 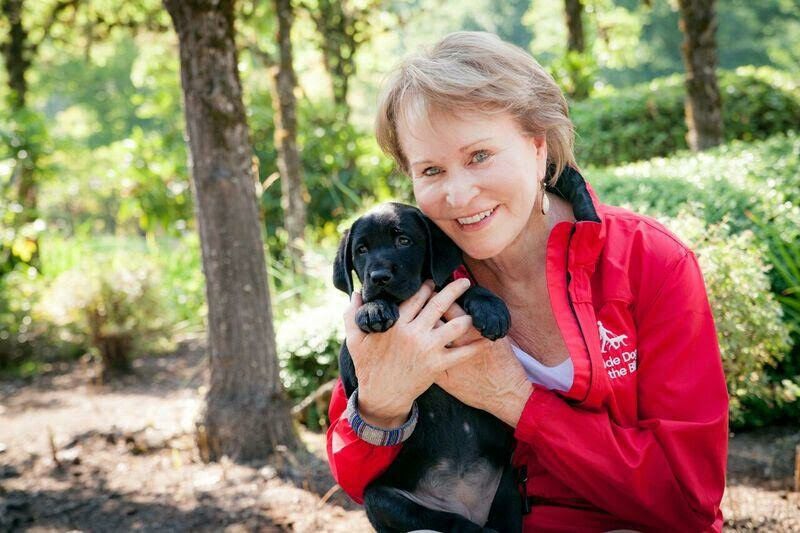 Prior to joining GDB, she spent 17 years leading the Humane Society Silicon Valley, where her progressive approach helped save the lives of tens of thousands of animals and greatly reduce pet overpopulation problems in Santa Clara County. Under her leadership, the organization was also able to raise $25.5 million to build The Animal Community Center -- the first facility of its kind in the country. Chris gives back to the community through her role on the board for non-profit Wildlife Impact, which is passionately committed to protecting the diversity of wildlife and natural habitats throughout the world. When she's not riding her bike, hiking or traveling, Chris hangs out with her four dogs: Theia, a career change Golden Retriever, who now serves as an ambassador for GDB, Hank, a Basset Hound, Bess, a three-legged Cattle Dog mix, and Petey, a Chihuahua.